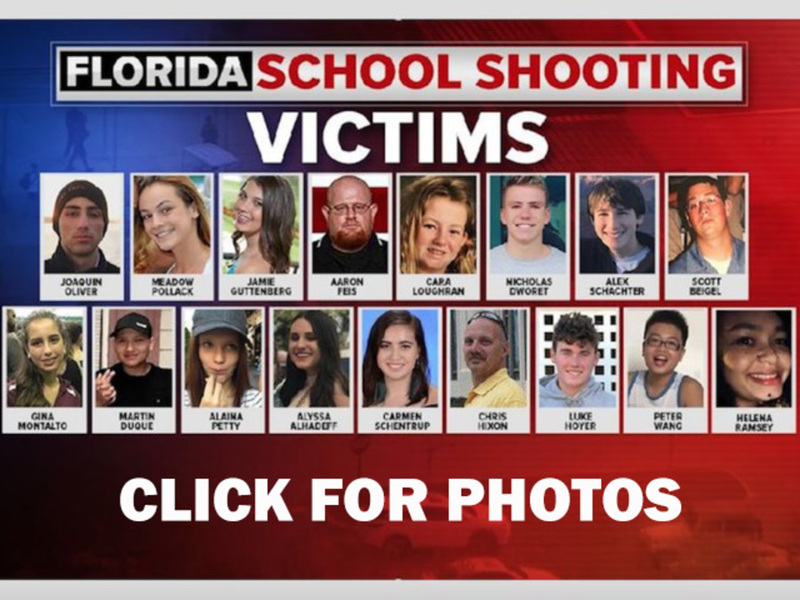 PARKLAND, Fla. (AP) — The FBI received a tip last month that the suspect in the Florida school shooting had a "desire to kill" and access to guns and could be plotting an attack, but agents failed to investigate, the agency said Friday. Florida Gov. Rick Scott called for the FBI director to resign because of the agency's failure. Attorney General Jeff Sessions said the shooting that killed 17 people Wednesday was a "tragic consequence" of the FBI's missteps and ordered a review of the Justice Department's processes. He said it's now clear that the nation's premier law enforcement agency missed warning signs. A person who was close to Nikolas Cruz called the FBI's tip line on Jan. 5 and provided information about Cruz's weapons and his erratic behavior, including his disturbing social media posts. The caller was concerned that Cruz could attack a school. 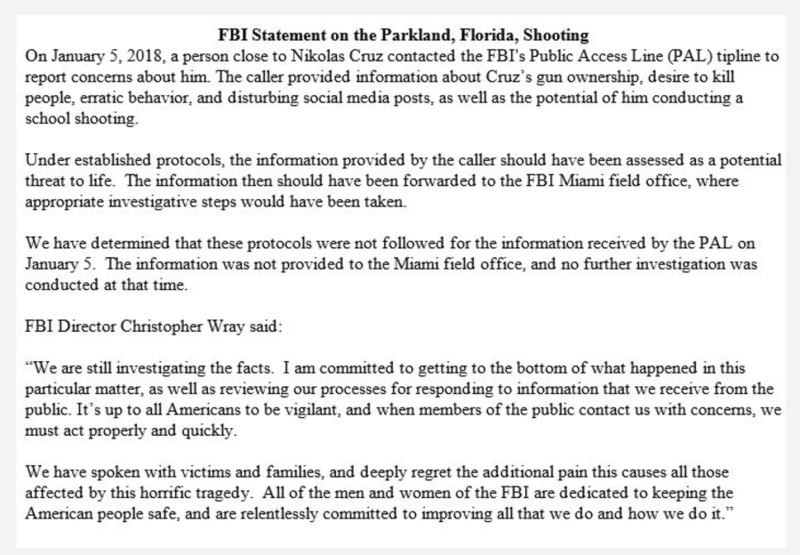 In a statement, the agency acknowledged that the tip should have been shared with the FBI's Miami office and investigated, but it was not. The startling admission came as the agency was already facing criticism for its treatment of a tip about a YouTube comment posted last year. The comment posted by a "Nikolas Cruz" said, "Im going to be a professional school shooter." Scott on Friday sharply criticized the federal law enforcement agency, calling the FBI's failure to take action "unacceptable." "Seventeen innocent people are dead and acknowledging a mistake isn't going to cut it," the governor said. " ... The families will spend a lifetime wondering how this could happen, and an apology will never give them the answers they desperately need." The president has repeatedly slammed the nation's premier law enforcement agency and its leaders, writing on Twitter that its reputation was in "tatters." A day earlier, details of Wednesday's attack emerged , showing how the assailant moved through the school in just minutes before escaping with the same students he had targeted. He radioed a co-worker and within a minute heard gunshots. Cruz slipped into the building, entered a stairwell and extracted a rifle from his bag, authorities said. He shot into four rooms on the first floor — going back to spray bullets into two of the rooms a second time — then went upstairs and shot a single victim on the second floor. Cruz was ordered held without bond Thursday at a brief court hearing. Lush reported from St. Petersburg, Florida. Associated Press Writer Sadie Gurman in Washington contributed to this report.